The Ergonomic Lash Pillow is designed to make lash appointments equally enjoyable for both you and your clients! With a soft foam core, and ergonomic design, this comfortable lash pillow not only keeps your clients comfortable and relaxed during the service, but it holds their head in a convenient lashing position. Wide side panels make traditional palettes and adhesive setup a breeze, minimizing back and wrist movement by keeping your products closer to your client. The durable black cover can be removed and washed. Lash-nap approved. I’ve been using this pillow for over 2 years. It’s been very comfortable for my clients. It’s also very easy to wash the covering. We agree! Thanks for your feedback! Speedy delivery. Clients love the new pillow. Sleek look and easy to place supplies. This pillow is exactly what I needed! Not only do I benefit from it, but so do my clients. It makes lashing 100 times better would definitely recommend! Hello Jenny! Thanks for the Feedback! We completely Agree. This Lash pillow is a must for those bi-weekly lash naps! Thank you for your review Rasy! 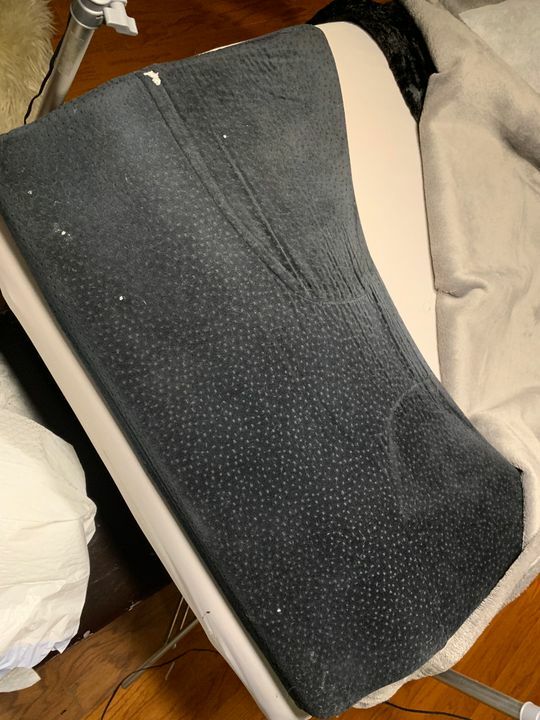 I have been looking for a great pillow for my clients and this is a great, sleek, comfortable one for both my clients and myself! We are so happy to hear that you are enjoying the pillow!